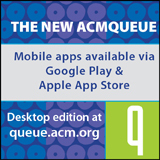 Welcome to the October 26, 2016 edition of ACM TechNews, providing timely information for IT professionals three times a week. Fujitsu Laboratories is working with University of Toronto researchers in Japan to develop a computing architecture that addresses combinatorial optimization problems. The architecture uses conventional semiconductor technology with flexible circuit configurations to enable it to handle a broader range of problems than current quantum computing systems. Certain decisions must be based on finding the most favorable set of parameters from an enormous number of possible combinations. For such combinatorial optimization problems, as the number of elements involved increases, the number of possible combinations increases exponentially. Efforts to solve these problems quickly enough for practical use would require a massive increase in computing performance. Current quantum computers solve these types of problems based on a physical phenomenon, but since only adjacent elements are able to come into contact, the range of problems they can solve is limited. Fujitsu wants to develop multiple computation circuits that run in parallel to perform optimization computations, while enabling scalability in terms of problem size and processing speed. The researchers prototyped the architecture using field-programmable gate arrays for the basic optimization circuit, and they expanded the bit scale of this technology so it can be used to quickly solve computationally intensive combinatorial optimization problems. The Pentagon has made artificial intelligence (AI) the core of its agenda to maintain the U.S.'s position as the world's leading military power, developing autonomous and semiautonomous weapons. The concept involves humans controlling the AI weapons, which would enhance and amplify military tacticians' creativity and problem-solving skills. One technical challenge is developing robots predictable enough to be safely deployed but sufficiently flexible to accommodate changing conditions. The Pentagon plans to combine computers' pattern-recognition abilities with humans' skills for handling uncertainty and unpredictability while also avoiding a scenario in which AI weapons become threatening. U.S. Deputy Defense Secretary Robert O. Work says when it comes to making life-or-death decisions, "there will always be a man in the loop." However, leading experts warn of a future where perfected thinking weapons trigger a new arms race in which enemy states and extremists can acquire them readily and inexpensively. Such a scenario gives rise to what Pentagon insiders call a "Terminator conundrum" centered on the debate about how independent weapons should be. Of prime concern is whether the U.S. should push for an international accord banning the creation of such weapons, or develop its own to stay ahead of adversaries. A new transistor designed by engineers at the U.K.'s University of Cambridge captures a tiny leakage of electrical current and harnesses it for its operations. The transistor's operating voltage is less than a volt, with power consumption below a billionth of a watt. The transistor's ultralow power consumption makes it most suitable for applications in which function is valued over speed. The researchers say the transistors can be produced at low temperatures and printed on almost any material, from glass and plastic to polyester and paper. They also report they were able to keep the electrodes independent from one another, so the transistors can be scaled down to very small geometries. "We're challenging conventional perception of how a transistor should be," says Cambridge professor Arokia Nathan. "We've found that these Schottky barriers, which most engineers try to avoid, actually have the ideal characteristics for the type of ultralow power applications we're looking at, such as wearable or implantable electronics for health monitoring." The researchers say devices based on this type of ultralow power transistor potentially could function for months or even years without a battery by scavenging energy from their environment. They also think the transistors could be used for devices for the Internet of things. Researchers from the Agency for Science, Technology, and Research (A*STAR) in Singapore have demonstrated the first real-time attack on the 2G Global System for Mobile Communications (GSM). Using a relatively small amount of data, Jiqiang Lu from the A*STAR Institute for Infocomm Research and colleagues exploited weaknesses in GSM's encryption, which is called the A5/1 stream cipher. A5/1 uses a 64-bit secret key and a complex keystream generator to make it resistant to elementary attacks, according to Lu. "We used a rainbow table, which is constructed iteratively offline as a set of chains relating the secret key to the cipher output," Lu says. With two specific exploits, the researchers were able to reduce the effective complexity of the key to a level that enabled a rainbow table to be constructed in 55 days using consumer computer hardware, making possible a successful online attack, in most cases within only nine seconds. First deployed 25 years ago, GSM has become the global standard for mobile communications. The team says its findings demonstrate an urgent need to update the encryption scheme. Imperial College London (ICL) researchers have demonstrated a highly efficient method for wirelessly transferring power to a drone while it is flying, a breakthrough which they say could enable flying drones to stay airborne indefinitely by simply hovering over a ground support vehicle to recharge. The technology relies on inductive coupling, a concept initially demonstrated by Nikola Tesla more than 100 years ago. Inductive coupling involves two copper coils tuned to one another, enabling the wireless exchange of power at a certain frequency. The ICL researchers demonstrated their inductive coupling approach using an off-the-shelf quadcopter drone. They altered the drone's electronics, removed its battery, and made a copper foil ring that acts as a receiving antenna encircling the drone's casing. On the ground, the researchers created a transmitter device from a circuit board and connected it to a power source, producing a magnetic field. The drone's electronics were tuned to the frequency of the magnetic field so an alternating current voltage is induced in the receiving antenna and the drone's electronics convert it into a direct current voltage, which powers the system. "There are a number of scenarios where wirelessly transferring power could improve drone technology," says ICL researcher Samer Aldhaher. Researchers at the Massachusetts Institute of Technology (MIT) Media Lab, along with colleagues at the University of Trento and the Bruno Kessler Foundation in Italy, have developed a method of scoring the safety, affluence, and liveliness of urban areas by judging images captured around several major cities. The researchers compared the scores of neighborhoods in Rome and Milan with cellphone data to determine the frequency with which people visited these places. To quantify the perceptions of urban areas, volunteers were presented with pairs of images and asked to select the one that seems safer, livelier, or some other characteristic. Since 2011, volunteers have performed more than 1.4 million image comparisons. Starting in 2013, researchers began using the scores generated by human comparisons to train a machine-learning system to assign scores to the remaining images. Cellphone data enabled researchers to map the cell towers' broadcast ranges onto geographic divisions used in census data, and the number of people who made calls from each region then was compared with the region's safety scores. The study found a strong correlation between perceived safety and visitation rates, particularly for women and people over the age of 50. However, men in their 20s are more likely to visit areas generally perceived to be unsafe than to visit safe neighborhoods. The researchers presented a paper on their work last week at the ACM Multimedia Conference in Amsterdam. An entirely new type of computer developed by Stanford University researchers can solve combinatorial optimization problems. The researchers say the machine acts in the manner of a reprogrammable network of artificial magnets in which each magnet only points up or down, and is expected to tend toward operating at low energy. The researchers based the computer on an Ising machine, named for a mathematical model of magnetism, and the theory is if the connections among a network of magnets can be programmed to represent the problem at hand, once they settle on the optimal, low-energy directions they should face, the solution can be derived from their final state. Instead of using magnets on a grid, the Stanford team used a special kind of laser system, known as a degenerate optical parametric oscillator. The researchers say the latest version is more affordable, practical, and easier to scale up. They report testing it on thousands of scenarios. Solving optimization problems, which is difficult for traditional computers to do, could have enormous impact in a wide range of areas and result in massive monetary savings, according to the researchers. The examples they cite include finding the optimal path for delivery trucks, minimizing interference in wireless networks, and determining how proteins fold. Researchers at Ben-Gurion University of the Negev (BGU) in Israel, the University of South Alabama, and the Singapore University of Technology and Design have demonstrated the first complete sabotage attack on an additive manufacturing (AM) system using three-dimensional (3D) printing technology. The researchers showed how a cyberattack and malicious manipulation of blueprints can significantly damage production of a device or machine. They created a proof-of-concept video showing how they destroyed a $1,000 quadcopter drone by hacking into the computer used to control the 3D printing of replacement propellers. More than 100 industries employ additive manufacturing processes, and the AM industry accounted for $5.165 billion of revenue in 2015, according to the Wohlers Report. In addition, 32.5 percent of all AM-generated objects are used as functional parts. "Imagine that an adversary can sabotage functional parts employed in an airplane's jet engines," says BGU professor Yuval Elovici. "Such an attack could cost lives, cause economic loss, disrupt industry, and threaten a country's national security." The collaborative study focused on the dangerous consequences of such cyberattacks, and proposed a systematic approach for identifying opportunities and a methodology for assessing the level of difficulty of an attack involving AM. A panel could one day remotely charge smartphones, tablets, and other devices within its line of sight, according to engineers at Duke University, the University of Washington, and Intellectual Ventures' Invention Science Fund. The proposed system operates at much higher microwave frequencies and can transfer power beyond the confines of a single room. To maintain power transfer efficiency, the system would have to operate in the Fresnel zone, the region of an electromagnetic field that can be focused. The flat antenna proposed by Duke professor David Smith would rely on metamaterials, or synthetic materials composed of many individual engineered cells. Smith says this approach would utilize liquid crystals and would thus be able to be manufactured at plants that produced liquid-crystal display TVs. Researchers found a flat metamaterial device no larger than a flat-screen TV could focus beams of microwave energy within a distance of up to 10 meters and charge more than one device simultaneously. Before the system can become a reality, a powerful, low-cost, and highly efficient electromagnetic energy source would need to be developed. "I think building a system like this, which could be embedded in the ceiling and wirelessly charge everything in a room, is a very feasible scheme," Smith says. Computer scientists at Rice University, Argonne National Laboratory, and the University of Illinois at Urbana-Champaign say "inexact computing" can dramatically improve the quality of simulations run on supercomputers. Inexact computing focuses on saving energy wherever possibly by paying only for the accuracy that is required in a given situation, says Krishna Palem, director of Rice's Center for Computing at the Margins. Using the Newton-Raphson tool of numerical analysis, the team demonstrated it is possible to leapfrog from one part of a computation to the next and reinvest the energy saved from inexact computations at each new leap to increase the quality of the final answer while retaining the same energy budget. The researchers showed the solution's quality could be improved by more than three orders of magnitude for a fixed energy cost when an inexact approach to calculation was applied instead of a traditional high-precision approach. Palem compares their approach to calculating answers as a relay of sprints rather than a marathon. "A specific goal is to encourage the application of this approach as a way to advance the quality of weather and climate modeling by improving model resolution," he says. Researchers at New York University (NYU), NYU Shanghai, and East China Normal University in China say they have broken the anonymity features in Yik Yak, an anonymous social media application. The researchers will present their findings next month at the ACM Internet Measurements Conference (IMC 2016) in Santa Monica, CA. The team tested Yik Yak's susceptibility to localization attacks, hypothesizing if it is possible to locate the geographical origin of a comment or "yak," it may be possible to identify the poster. The researchers found yaks can be localized through a machine-learning algorithm. In one experiment, they localized yaks to within 300 feet, and another experiment identified the sites from which yaks originated with 100-percent accuracy. "At this stage, we can narrow down a location to a building, which when combined with other side information could potentially de-anonymize the author of any given yak," says NYU professor Keith Ross. The researchers deployed Yik Yak on two U.S. college campuses using a technique to trick a smartphone's global-positioning system (GPS) into believing it was on those campuses. They then developed an automated system to "place" themselves, using GPS coordinates, at numerous locations in and around the campuses and record which yaks were available at each location. Up to 10 percent of the repositories held by cloud hosting services have been compromised, according to a study by researchers at the Georgia Institute of Technology, Indiana University Bloomington, and the University of California, Santa Barbara. The researchers presented their findings on Monday at the ACM Conference on Computer and Communications Security (CCS 2016) in Vienna, Austria. The researchers found bad actors could hide their activities by keeping components of their malware in separate repositories that by themselves did not trigger traditional scanners. The different parts of the malware were assembled only when they were needed to launch an attack, but this strategy also created a technique for finding the "bad buckets" hosting the different pieces of malicious software. The researchers found many bad actors had redundant repositories connected by specific kinds of redirection schemes that enabled attacks to continue if one bucket were lost. In addition, the bad buckets usually had "gatekeepers" designed to keep scanners out of the repositories. The researchers started by studying a small number of known bad repositories to understand how they were being used, and then created "BarFinder," a scanner tool that automatically searches for and detects features common to the repositories. The team scanned more than 140,000 sites on 20 cloud hosting sites and found about 700 active repositories with malicious content. As artificial intelligence (AI) technologies increasingly are deployed to meet industrial and personal needs, the field will need to address its lack of ethnic and gender diversity, according to Stanford University professor Fei-Fei Li. Women and ethnic minorities in the U.S. are particularly underrepresented in the computer science field, and the problem is expected to be worse in AI. At the recent White House Frontier Conference in Pittsburgh, Li raised three reasons why diversity is an important issue for those researching and developing AI. She says the current labor force is insufficient to accommodate the amount of work required in the fields of computing and AI. The gross domestic product from automation and machine learning is expected to rise globally, indicating a need for a larger and more diverse workforce. Another case for diversity is its impact on innovation and creativity, as research shows people working in diverse groups come up with more ingenuous solutions to problems. Finally, Li says diversity is needed to ensure AI systems operate in a fair manner. Computers learn how to complete tasks through massive datasets compiled by computer scientists. If there is little diversity in the workforce, machines may learn from biased data. To address these issues, Li suggests applying a humanistic mission statement to the field.